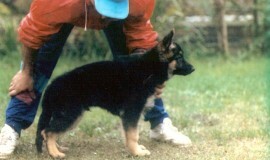 Quartz’s story dates back to long ago, to an almost unique German Shepherd. 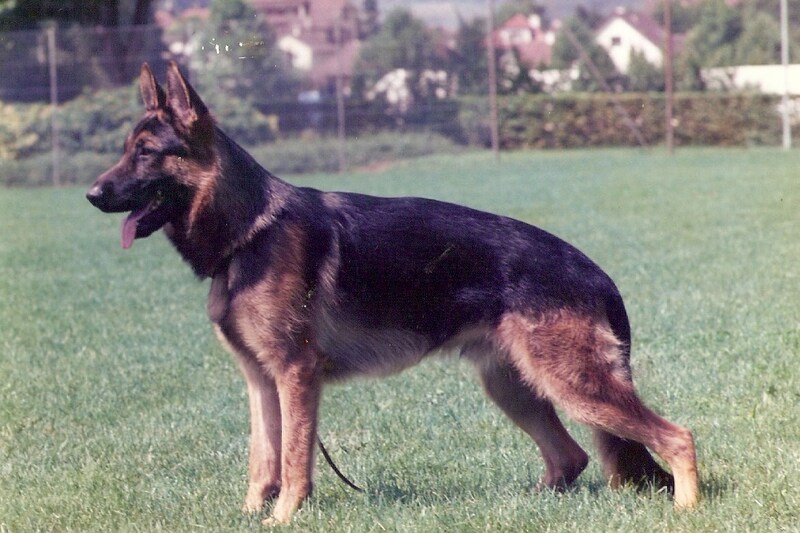 Sunday 14, 1993 was a cold day: in a competition near Viernheim (Germany) I saw for the first time Amigo Von Belgier, a wonderful specimen of German Shepherd who ranked 4th among male adults, behind more successful dogs such as, Jeck Von Noricum, Hoss Von Hasemborn and Visum Von Arminius. 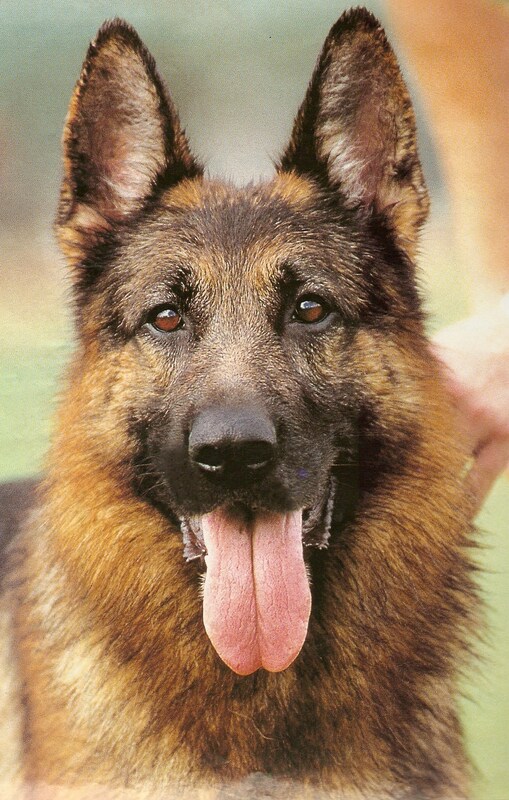 I liked that dog very much and at the end of the competition I congratulated on his owner, Mr Keim, and asked him his telephone number to contact him. On my way back while I was driving I could not stop thinking of Amigo and the day I could use it; that day came soon since one of my female dogs, Freda del Pellegrino, was ready for mating and I immediately thought of him. 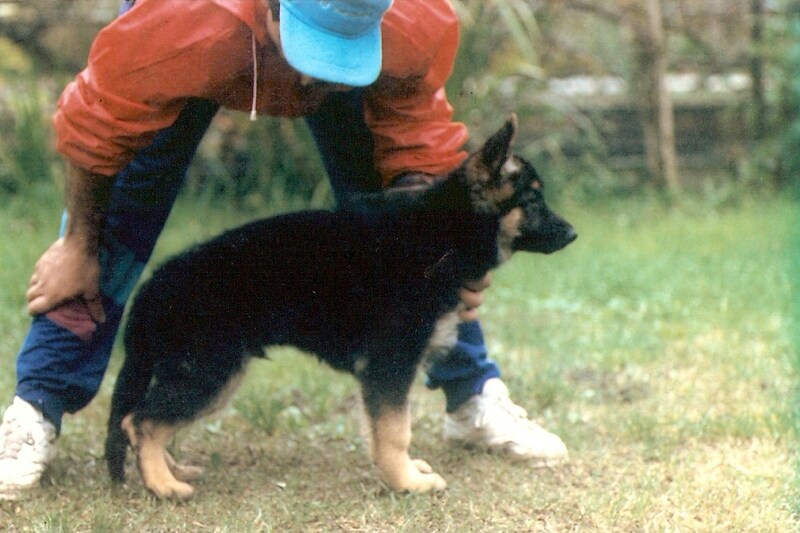 Two months later three very beautiful and big puppies were born, a male and two females. However, the two females died because of some physical problems due to their heavy build. Only Quartz survived. 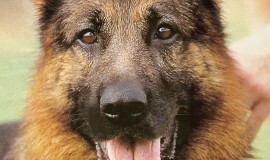 He was very dark and curious with that clever muzzle of someone who knows a thing or two. 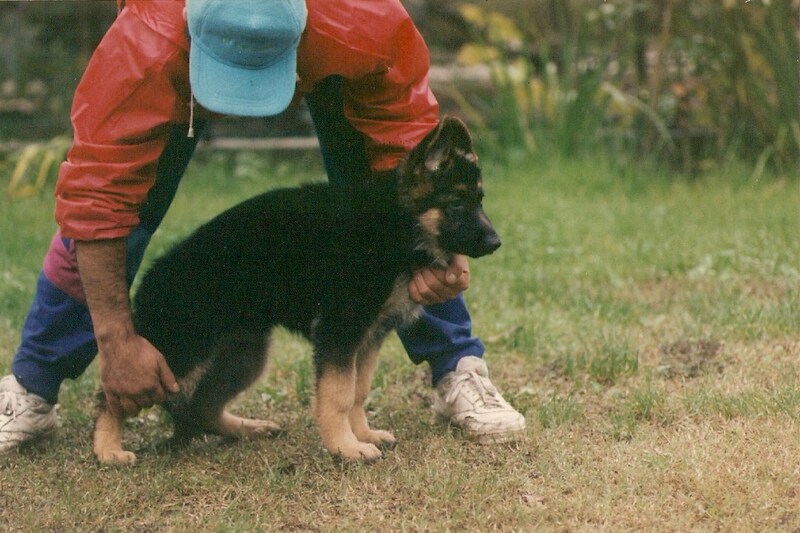 One of my friends and neighbours, Locati Fabio, who in those days worked with me, took care of him. The three of us immediately established a close tie while playing and socializing, and we both helped to prepare the little Quartz. Very soon Quartz grew up and he was introduced to the world of rings. On the occasion of the regional championship organized by S.A.S. 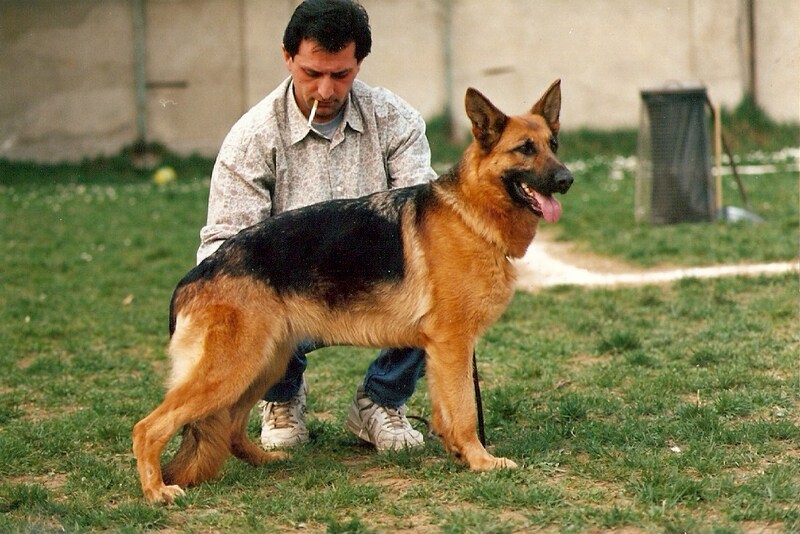 Ponente, in a small village of the Ligurian hinterland on July 3, 1994, the judge Mr Di Liberto awarded him the title of best dog ranking him first. Then during a national meeting in Bassano del Grappa, the judge Mr Osciler awarded Quartz the second prize. 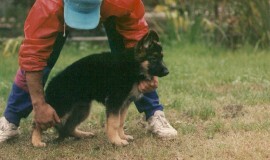 That was the end of the first phase of the dog show in summer 1994. 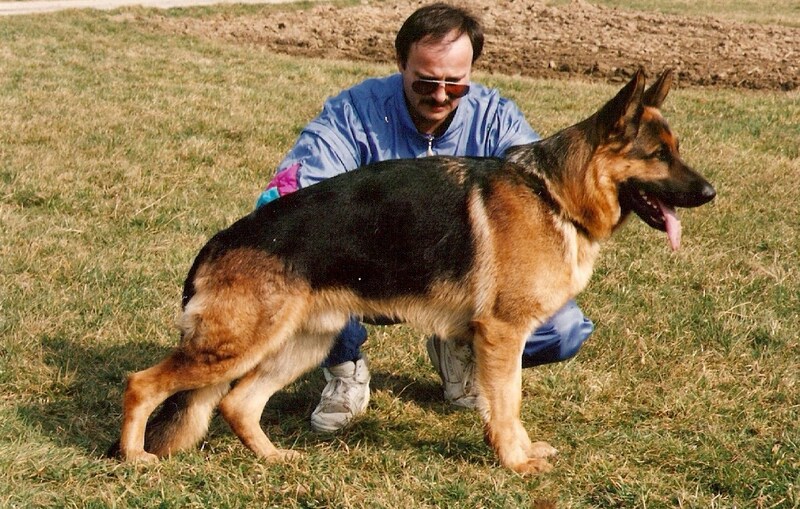 In September I decided to take it to the Swiss championship in Liestal, where his handler was Mr Keim, Amigo’s owner. However, despite the good results obtained in Italy, the competition in Switzerland was not very lucky for Quartz ranking 35th in that very hot day. That was the last competition I shared with Fabio and Quartz. Many things have been said about Quartz, but instead of appreciating his qualities the Italian lovers of German Shepherd liked gossip. What I can say, of course supported by the witness of those who were present and without meaning to polemize with anyone, is that I imagined and made Quartz until he was 12 months old when he was running in my breeding centre. Then, as it often happens in life, due to the end of the friendship and the cooperation with Mr Ferri which had lasted for many years, the dog was exchanged (and not sold as someone says) with a female called Cindy of the Templari. 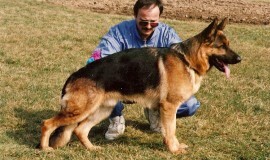 After that, the dog was sold in Germany to a big dog lover and handler, Mr Karl Heinz Fuller, who was able to exploit his potential and the qualities Quartz already had, obtaining flattering results in all German rings and achieving his undertaking with a very good ranking being 7st Auslese in the German world championship. 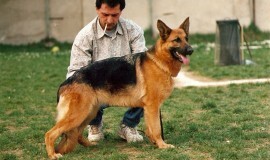 Moreover, in 1998 and 1999 he was 1st (Sieger) among male dogs in the Italian breeding championship. 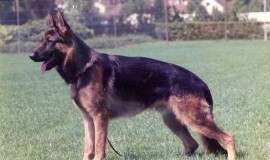 I was left with the satisfaction (even if unrecognized by those who live on envy and delation) of realizing a wonderful dream: the creation of a great specimen which proved to be an optimum breed animal and who will always remain in the history books of the German Shepherd starting from a small breeding centre, with few means and many sacrifices, but with a good intuition. A special thank to my wife Rosi who shared with me big sacrifices and as many satisfactions day after day. I would like to say hallo to all my true friends..